Contrary to accepted opinion, pigs don’t always drink more on hot days, they simply change their pattern of consumption. This is the conclusion from large-scale monitoring of commercial weaner and finishing pigs by Dr Sadie Douglas. Over 20,000 pigs of between 45kg and 110 kg liveweight were monitored from July 2014 and July 2017 and it was found that, until ambient temperatures reached 30 deg C (86 deg F) temperature had a limited effect on daily water usage. 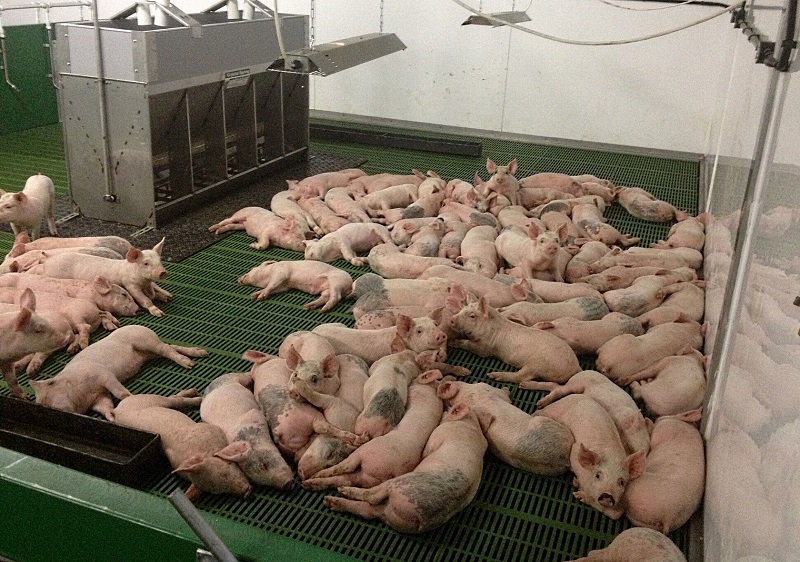 As would be expected, pigs tended to drink more water between May and September, compared with the rest of the year. However, during hot spells older pigs altered their drinking pattern and appeared to be less active during the hottest part of the day, eating and drinking earlier and later in the day. This pattern persisted for an average of three days after the hot weather subsided, said Dr Douglas who is, data services manager for control and monitoring company, Farmex. The majority of the sites in the analysis had fan-controlled ventilation operating on a batch basis but two were continuous systems with ACNV (automatically controlled natural ventilation). “We are currently looking at the impact of high temperature on pig behaviour in relation to feed patterns, intake and performance,” said Tim Miller, environmental specialist with ARM Buildings who supplied the housing in this study.